Create your own maker-space with the state-of-the-art product and teach your students how to solve open-ended problems by creating their own models and prototypes. 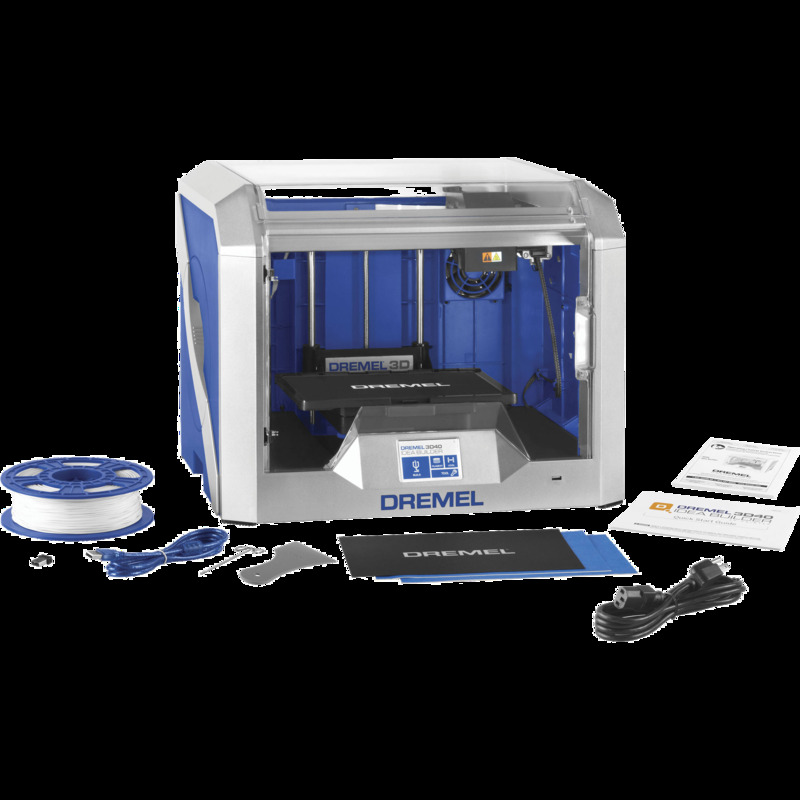 The Dremel 3D Printer Lab includes 1 Dremel 3D Printer 3D40, Software, Curriculum, 3 spools of Filament, 1 extra build tape, 1 extra build platform, a 4-hour professional development course (with certification) and a 1-year warranty. The award-winning 3D Printer Lab has everything needed for Teachers to implement 3D printing into the classroom. 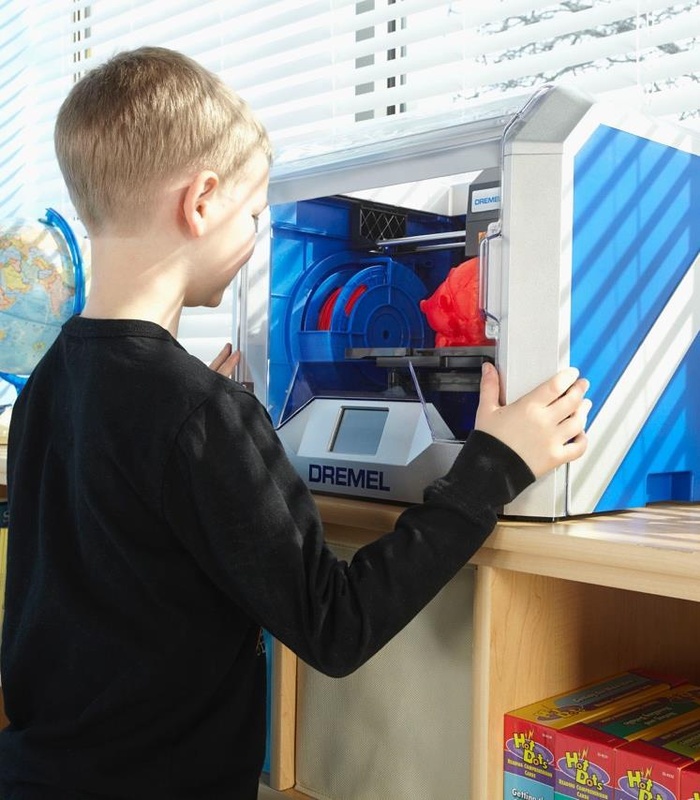 With the everyday teacher in mind, Dremel’s high accuracy 3D Printers are fully enclosed and have optimized motion controls to minimize noise so Educators can teach while the printer is running. Installation is a breeze since time to first print takes only 15 minutes. Based on Dremel’s proprietary sensor technology, the 3D printer is engineered to run as smooth as butter and resist clogging. We want you to make and to inspire, not repair! 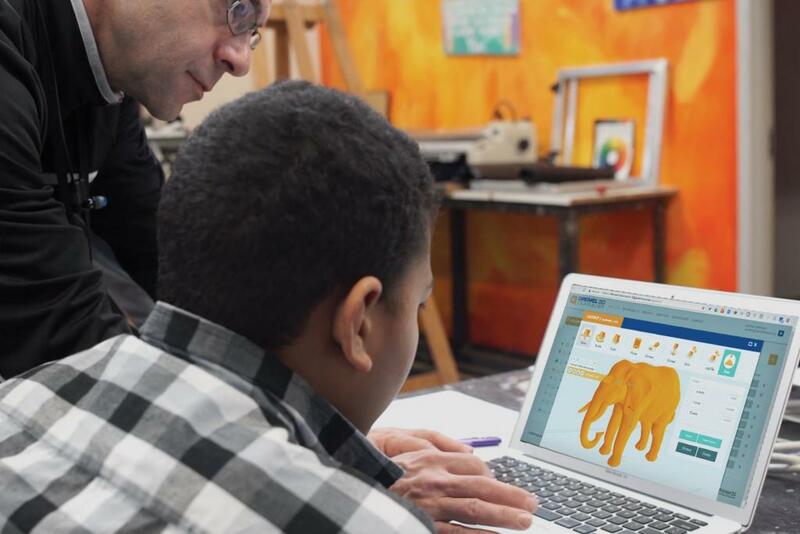 Create your own maker-space with the state-of-the-art product and teach your students how to solve open-ended problems by creating their own models and prototypes. The Curriculum includes 30 basic & advanced lesson plans that teach problem-solving and teamwork, not just 3D printing, and aligned with the Common Core standards. The Dremel 3D Printer Lab is a comprehensive solution that includes everything you need from the printer and filaments to curriculum and 3D accessories to expand your class projects. Unlock your students’ creativity now! Click to watch the video about Dremel 3D Printer Lab.